Over time it’s possible that the brake system loses some its initial efficiency. That’s mostly due to wear of the brake pads and elongation of the inner wire. You can easily fix this by tensioning the wire. This is done by tightening the barrel adjuster either on the brake lever or the rear truck like shown on the images below. Make sure that you secure it in place with the nut afterwards. 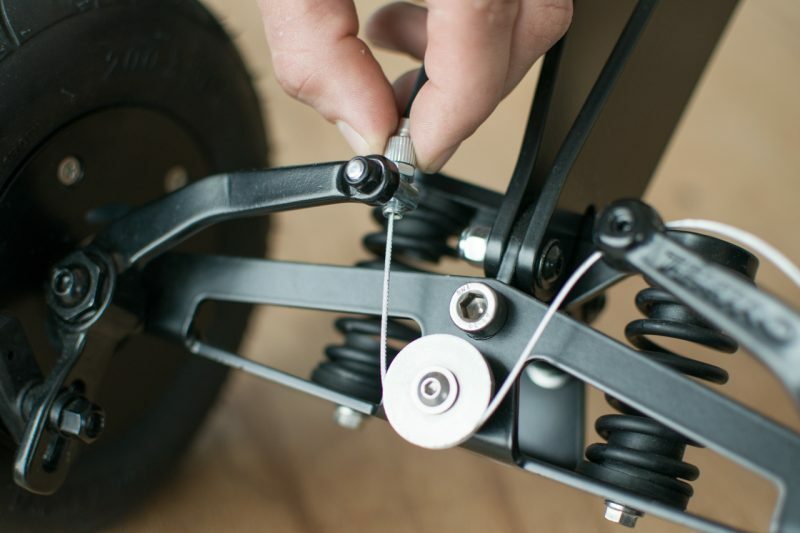 If one or both brakes don’t fully retract after you release the lever than you may need to adjust the tension of the springs. 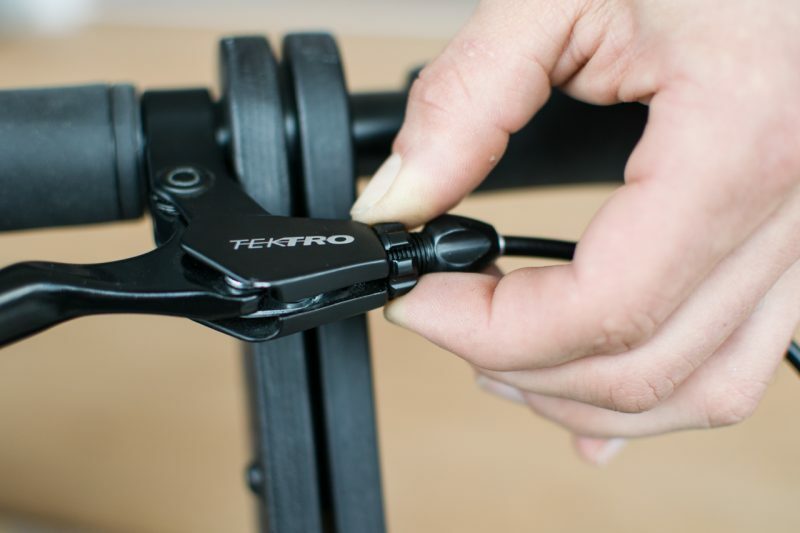 You’ll need 17mm wrench and 5mm hex key for the job. For the left brake place the wrench on the nut (1) and hold it in still. 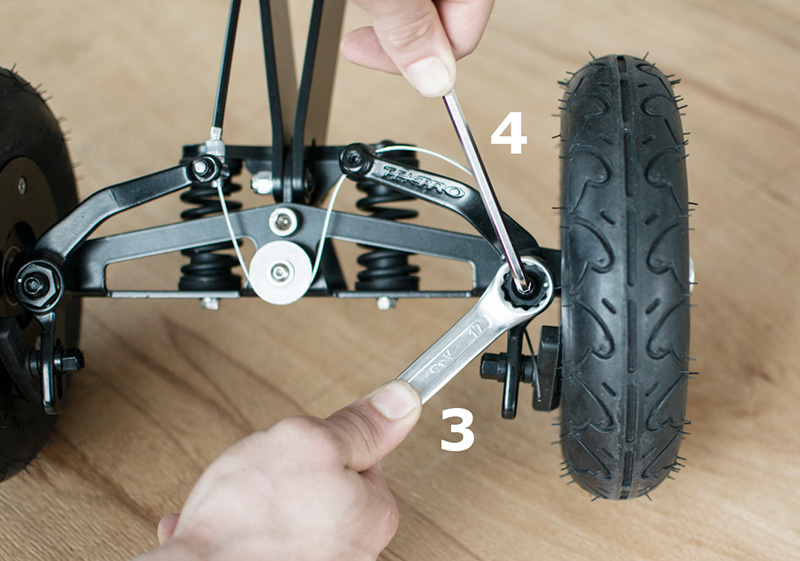 Than use the hex key (2) to loosen the bolt. With the bolt is loose turn the wrench clockwise to loosen the spring or counterclockwise to tighten it. 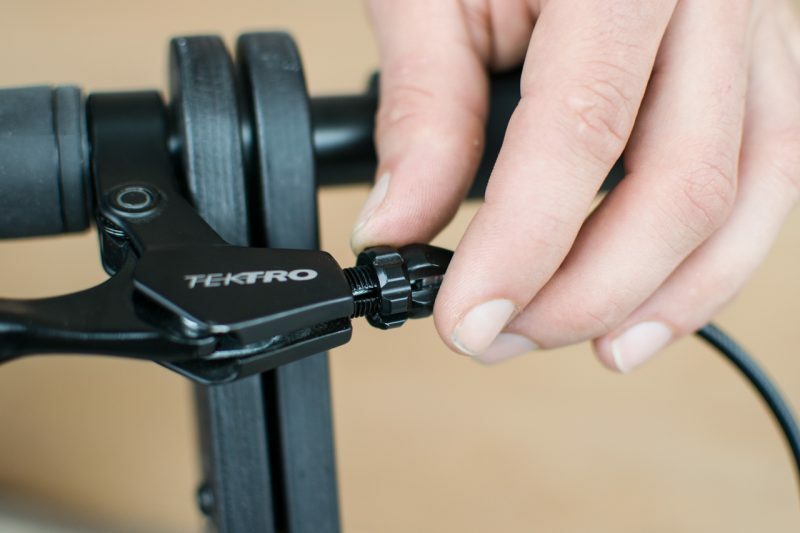 Once the required setting is reached tighten the bolt with the hex key (2) to secure it. Adjusting the right brake is similar. The only difference is that turning the wrench (3) clockwise tightens the spring while turning it counterclockwise loosens it. 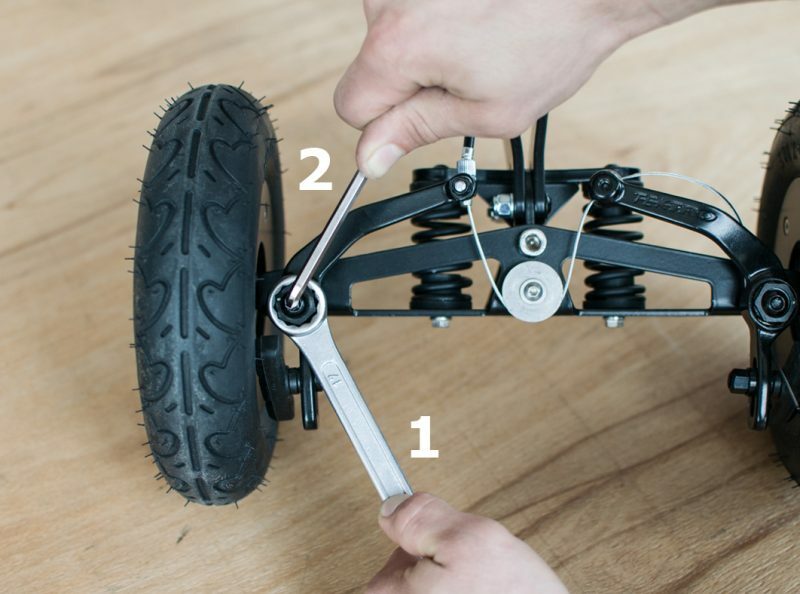 Both brakes need to be well balanced so that they’re not pressing against the wheel constantly.